kaffeinate embraces local North Carolina history and culture and brings it to your very own coffee table. 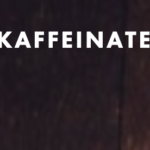 Focused on creating community through local, sustainably-sourced resources and coffee-centric events, kaffeinate will become a home away from home — a cozy yet vibrant destination. Welcome to our kaffeinated family.